The newly formed Junior Development program, run by Brendan Longman, saw 11 of it’s athletes compete for their schools at the respective Schoolgirl and Schoolboy Head of the Rivers on 16th and 17th of March. At the Schoolgirl Head of the River, Sydney was represented by Evie Thomson and Sophia Carmody of Pymble Ladies College, who had an incredibly tight race which was decided by a photo finish. The duo came away with a second place in the Schoolgirl First Eight, setting up for a great battle at the upcoming National Championships. On the sculling side of things, Freya Neville and Isabella Scammell, competing for Kinross Wolaroi, took out a Gold Medal in the Schoolgirl First Quad Scull. 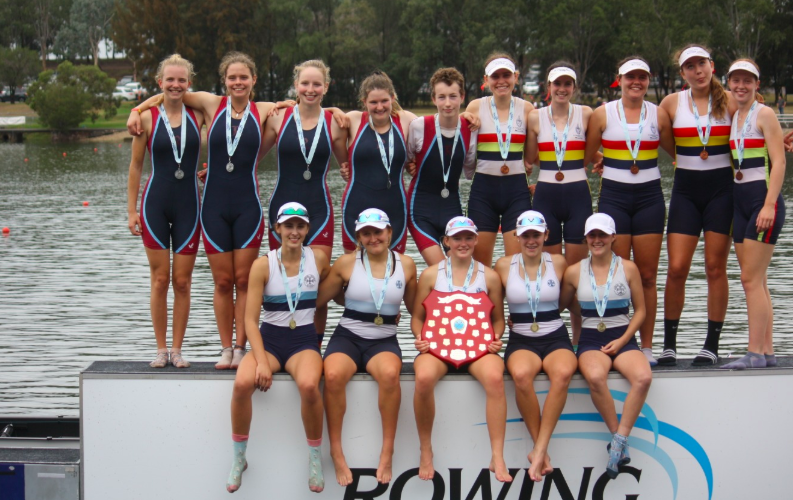 SRC Affiliate Elizabeth Carter – who joined us for our January training camp in the Snowy Mountains – took out the Schoolgirl Double Scull for Newcastle Grammar School. Novices Talsia Knoke-Driver and Sophie Brennan must be commended on their efforts in coming 4th and 8th respectively in the Year 8 Single Scull. Having only been rowing for a couple of months, it was great to see them make the A Final in an event with almost 20 entries. 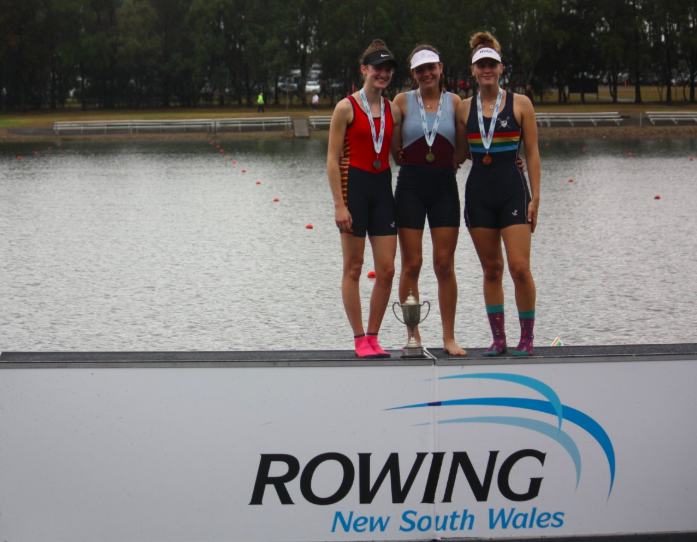 Ahead of competing for Sydney in the U17 W2x next week at the National Championships, Hunter Valley Grammar School sculler Sarah Abrams took out a Bronze medal in a competitive Schoolgirl Single Scull field. This meant that SRC was featured in all four Schoolgirl Sculling events on the day. The following day, at The Schoolboy Head of the River, SRC saw a number of impressive performances across a number of small boats. After a difficult heat, Namkhai Stylianou brought home a Silver medal, battling it out to the line and edging out over Bronze by less than a second. In the Year 10 equivalent, Gabe Carmody was determined to one-up his sister Sophia’s performance of the day before. He accomplished this with ease, racing for Knox Grammar, Gabe brought home the Gold Medal by 8 seconds, leading start to finish. 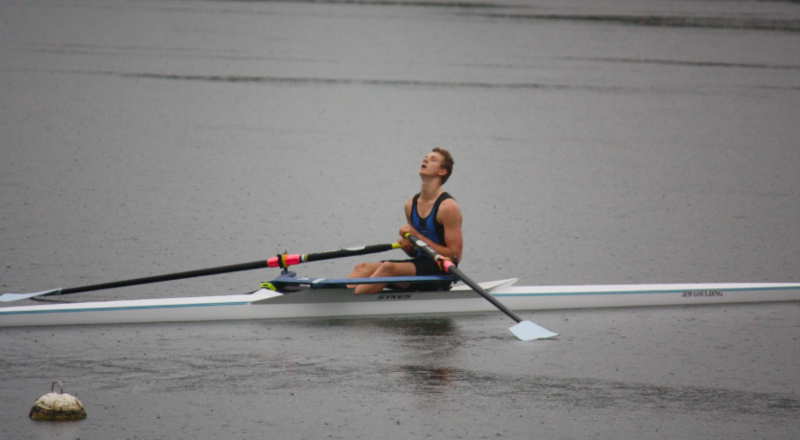 In the afternoon’s racing, Newington’s Lachlan Rennie raced the Schoolboy Double Scull, and despite leading from the start, losing an oar in the last 100 metres and transitioning to sweep rowing meant the crew had to settle for Third. It is great to see our athletes taking what they have learnt at the club, and making improvements within their school programs. If you are at all interested in joining the club whilst you are still at school, our Junior program is constantly taking on new members. Please contact Brendan Longman through the contact form here. Have you got your SRC Blazer?